Tom Hazard, just one one the names he has been know by, is 439 years old. He has a rare condition called Anageria, meaning that his body ages at a very slow rate. For every 15 years of his life, his body ages just one, a condition that began during puberty. This means that he now looks like a man in his 40s. He has lived through many periods in history, met a lot of famous people from the past, and seen plenty of inventions brought to life. There is a secret organisation set up to protect the people like Tom, called ‘The Albatross Society’, run by a man who is very, very old, Hendrich. The society gives protection to its members by moving them to new areas every eight years and providing them with new identities, plus they also kill anybody who discovers the truth about them. Hendrich asks for one thing in return, ‘favours’ whenever he requires them. He also gives a word of warning to members of The Albatross Society; ‘Never Fall in Love’. It is 2017 and Tom is now working as a history teacher in a London comprehensive school. With his knowledge of the past, he is very efficient at his job. London is a place where he has lived once before, a place that holds many memories for him. It is a place that in one sense makes him feel at home, whilst in another haunts him. Tom only has one wish in life, to be ordinary. 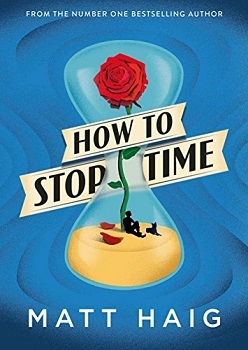 How to Stop Time, is one of those books that you get to the end and then sit back trying to take in just what you have read. This is a powerful novel about life, and living. Two very different things. The book is very touching, and you can’t help but feel for Tom, a man who may have been alive for many years but one who can’t live a normal life. Imagine never being able to get close to anyone, never being able to tell anyone about yourself, and then every eight years you have to become someone else and move far away to start all over again. The book makes you think about your own life, the actions that you take, and the choices that you make. Life is a learning curve, and even Tom is still learning. The story goes back and forth in time, as you travel with Tom through different periods of his life. You get to witness history thorough the eyes of the man who has lived it. You also get to see the mistakes that people have made, over and over again. Sometimes the past isn’t so different from the present. 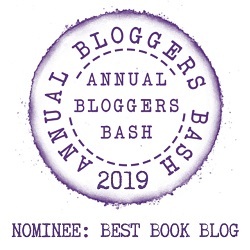 There is an honesty in Matt Haig’s words. A rawness that touches you, and whilst giving you a heart-warming feeling, they can also send shivers down your spine. The way that he looks at life, and sees not only the good, but the horrors that are created is unique. This is a book about not taking yourself, or anyone else for granted. It’s about accepting, and understanding that life is precious, and we are the chosen few to experience it. Just to emphasis how good this book is, it hasn’t even been released yet, but the film rights have already been bought and Benedict Cumberbatch has signed up to play Tom. I couldn’t think of anyone more perfect to be able to fulfil the role. Thanks for the review. I loved How To Stop Time, for me the book was essentially about living in the now, not existing and living in love.